Luca Lorusso, the man behind Cafe Latte has opened a more casual spot just a few doors down from the cafe called Pizza e Vino. Table decoration is fairly basic with the menu stamped on the placemats - a small selection of daily specials compliment the menu. 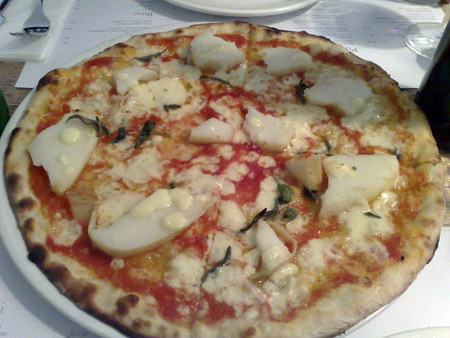 Simply cut into four, this really is the type of pizza you expect to find in Italy. Simple, pure flavours with a thin base. 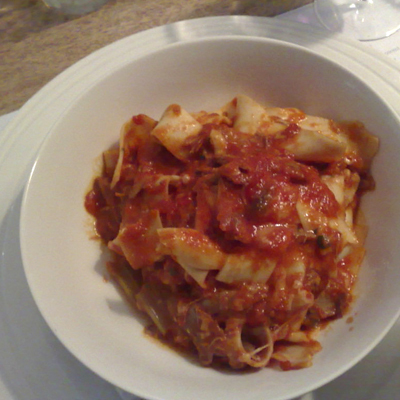 I have the Pappardelle with Duck Ragú - the pasta was very good but I would have liked a little more depth of flavour in the duck ragú, the sauce needed to be cooked for a little longer. 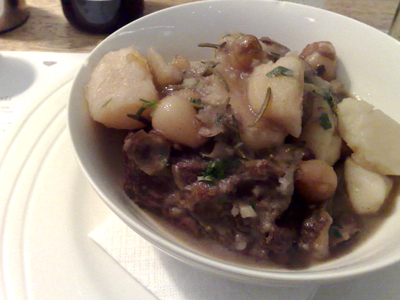 Paalo has one of the specials - a wine marinated lamb shoulder with potatoes and rosemary. A hearty dish, the lamb perfectly tender. 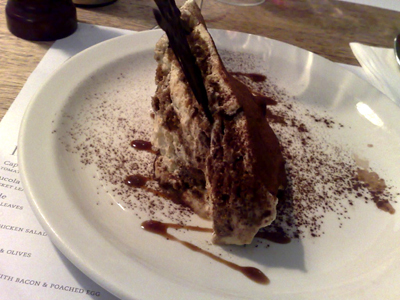 Paalo goes it alone with the Tiramisu - it's a good version and although it looks like a large serve it's quite light.